Five dollars compensation in 1914 was the equivalent of $116 today – not a fortune, but better than most workers were paid at the time. Though it took some 24 years to catch on, the idea that a man or woman’s labor had an intrinsic value that should not be undercut took hold and in 1938 President Franklin D. Roosevelt signed a bill enacting a federal minimum wage of 25¢ an hour. That was only two dollars a day over two decades later, showing what a humanitarian initiative Henry Ford started nearly a century ago. Currently, the hourly minimum wage is $7.25, though some states guarantee more or less than the federal standard. Approximately 74 million workers in the US are paid by the hour and 3.8 million of them are still paid at or below the minimum wage. The lowest 20 percent of households earn no more than $20,262 per year and chances are that doesn’t cover a lot of healthcare, which the rest of us end up paying for anyway. It’s the same old story – if we fail to educate youth, they end up in gangs and drive-bys. If we fail to fund mental health, we end up with mass shootings in schools and theaters. The value, propriety and righteousness of a minimum wage is still the subject of virulent disagreement, but love or loathe it, Henry Ford was the first to really give the concept a big push into the real world. Once, long ago, capitalism had a conscience. The big difference? 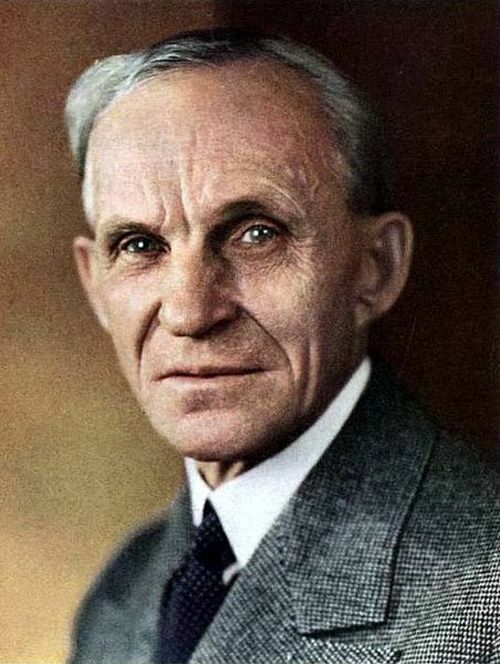 Henry Ford did it voluntarily, knowing that paying higher wages would attract a higher caliber of worker and create more loyalty and thus a better product. Mandated minimum wages don't do any of that and actually are an economic drain. Right On, Aaron Turpen! State mandates always, always, always create waste disproportionate to the good done. When are people going to learn? It isn't efficient being forced to do anything. The Prius is prima face evidence of "if you build it, they will come" as far as EFFICIENCY goes. Not "being green".